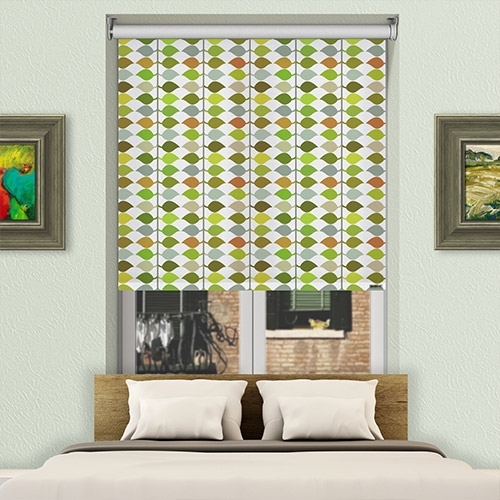 Controliss Ava Spring battery powered roller blind: This contemporary leaf repeat pattern is a bright and vivid abstract statement fabric. 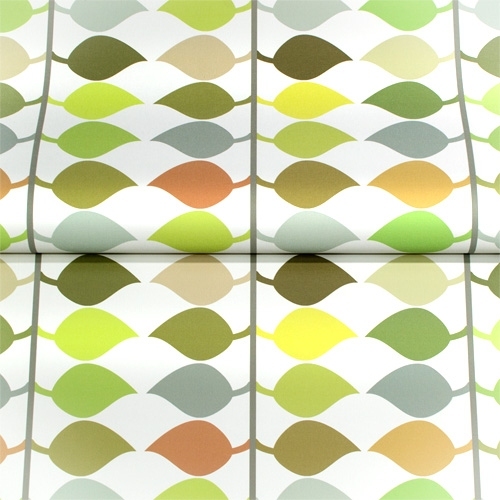 With a stunning palette of crisp, bold colours, this fabric combines acidic bright lime with pale yellow and lush grassy green to deliver a verdant and positive backdrop to any room in your home. Accents of slate grey and beige provide a strong foundation for this fabric.